What is an Arkansas Quit Claim Deed? Arkansas Quit Claim Deed: What Is It? 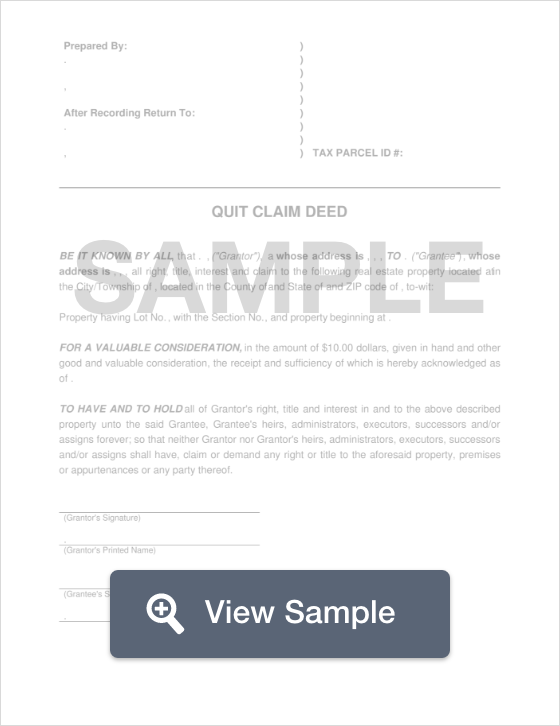 A quit claim deed in the state of Arkansas is a document that allows a document allows a property to be transferred from one person to the next. This type of transfer is not suitable for a traditional property transfer, as it does not guarantee a free and clear title, but only transfers ownership to prevent the previous owner(s) from coming back at a later date and claiming any interest on the property. Generally, this type of expeditious transfer is used when a property is being transferred between family members or in cases of divorce. It is highly recommended that the buyer complete a title search on a property before using a quit claim deed, especially when purchasing from a stranger. Arkansas Law §14-15-404 dictates that all quit claims, along with the adjoining fees, are to be submitted to the appropriate Court Circuit. As far as the signing of the document goes, the law dictates that a Grantor must sign the deed in front of a Notary Public and two witnesses who share no interest in the transaction (§ 18-12-104).